Food Costs > How Much Do Maitake Mushrooms Cost? How Much Do Maitake Mushrooms Cost? Although this mushroom can be used in cooking, it has primarily been used for medicinal purposes in Japan because it’s known to promote longevity. These health benefits began to be researched in the 1980s and have slowly made its way to the United States. This mushroom grows on wild tree trunks and stumps, and it is successfully cultivated. How much Maitake mushrooms cost? 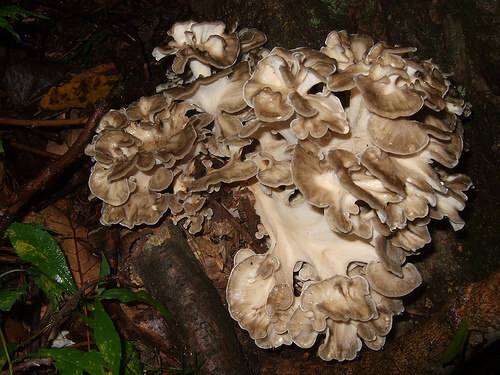 Most Maitake mushrooms are going to come in prepackaged bags if purchased online. If purchased fresh, it can cost anywhere from $16 to as much as $24 per pound. If purchased online, a small one-ounce package can cost $5 to $10. A 16-ounce bag of Maitake Mushrooms, for example, will cost anywhere from $25 to $40. These are usually either found at a gourmet grocery store in your area or online. Smaller bags that are pre-cut and are less than an ounce can cost anywhere from $5 to $7 per package. Some companies, such as Mycological, offer a one-ounce dried mushroom package for $6 to $10. A whole mushroom that isn’t cut, dried, or packaged will cost anywhere from $5 to $10 per mushroom. Purchasing them in higher quantities may lower the price. Most packages are either going to be cut, dried or just come as a mushroom. In the packaging, it will be sealed air-tight so it doesn’t spoil as fast. Be sure to note the expiration date as some don’t tend to last that long. One ounce will have about 10 calories, two grams of carbohydrates, one gram of protein and one gram of fiber. There is no fat. Believed to be used in medicine in Japan, doctors have researched that it may help ease the side effects of chemotherapy, help boost your immune system and even manage blood glucose levels. It’s also known to help lower blood pressure, according to the October 2011 issue of the Journal of Agriculture and Food Chemistry. Since most of these mushrooms are going to have to be purchased online, there may be shipping charges. Most mushrooms tend to ship just fine since they don’t require any climate controlled trucks or dry ice. These mushrooms are best if used within three to five days. If they won’t be used within that time frame, it’s best to freeze them in a freezer bag for later use. If you’ve never had these mushrooms before, it’s best to use caution as some have proclaimed allergies. It’s also known that these mushrooms can help heal as there are compounds contained that can help stimulate immune functions. They are also known to help lower blood pressure and help control sugar levels with diabetic patients. There are also promoters that claim that these mushrooms can help reverse tumor growth. These mushrooms taste the best when sauteed in olive oil and butter. They are also great in foods such as sauces and stir-fries. Consider substituting these mushrooms for other mushrooms you would use in other recipes such as in pasta, salads, pizza and omelets. This mushroom is known to make a very brothy soup. Consider checking out this recipe for more information. If you’re able to choose a mushroom in person, pay close attention to its texture. It should be firm, not wilted or soggy, and it should be free from any blemishes. Also, the mushroom shouldn’t have a “yeasty” smell and should have a nice form of clusters that aren’t spaced apart. Compare prices and check with local mushroom farms. Buying locally and organically can save you 20-30% when compared to e-commerce stores. If purchasing the mushrooms by the pound, the more you purchase, the more of a discount you will receive. Many local markets are more than happy to provide discounts to those who purchase in bulk. Paid $25 per pound online.